Find bar. Wait in line to get into bar. Wait in line at bar to get drink. Desperately wave down bartender. Compete to order drink. Drink the drink. Contemplate whether or not it’s worth it to go get second drink. Repeat vicious cycle. Sound familiar? When Hop’s founders realized they weren’t alone in their frustrations, they took matters into their own hands. What if you could pour your own beverage and skip the hassle altogether? 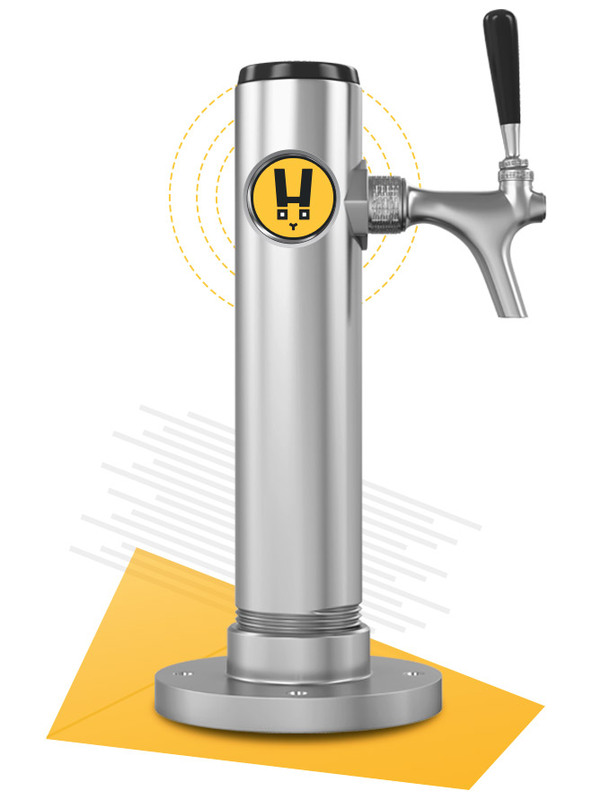 Hop’s founders imagined a world where consumers could easily drink on-demand with help from kiosks in malls, hotels, airports, casinos, and conferences—minus the wait and bartenders. This raw, rebellious concept was brought to Brand Knew with the goal of opening the first location in Las Vegas by fall 2017. Brand Knew accepted the challenge to develop a pioneering brand and introduce it to the world, championing the era of self-serve and consumer independence. 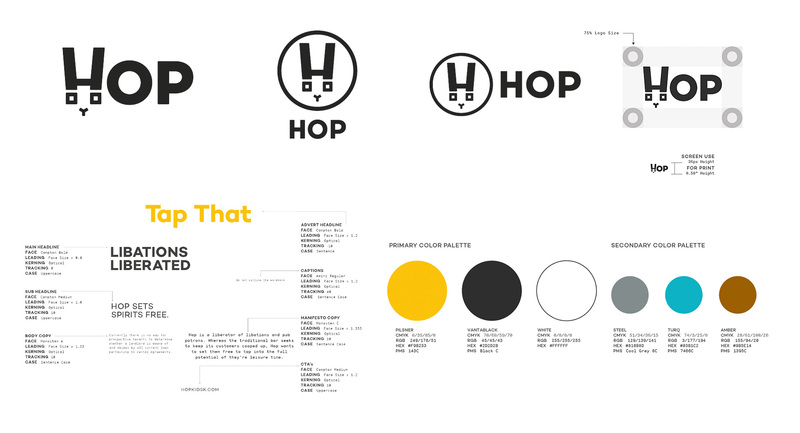 Brand Knew embarked on a collaborative branding process, soon landing on Hop—a representative intersection of beer’s key ingredient and the act of bar-hopping. With a brand name established, Brand Knew proceeded to create an evocative logo mark and brand guideline with a striking color palette to match. Social platforms were launched with creative vigor, boasting quick-witted rhetoric and innovative custom designs that sparked intrigue and ignited conversation. Hop soon declared itself the liberator of libations and pub patrons, by demanding consumers Set Spirits Free and tap into the full potential of their leisure time. 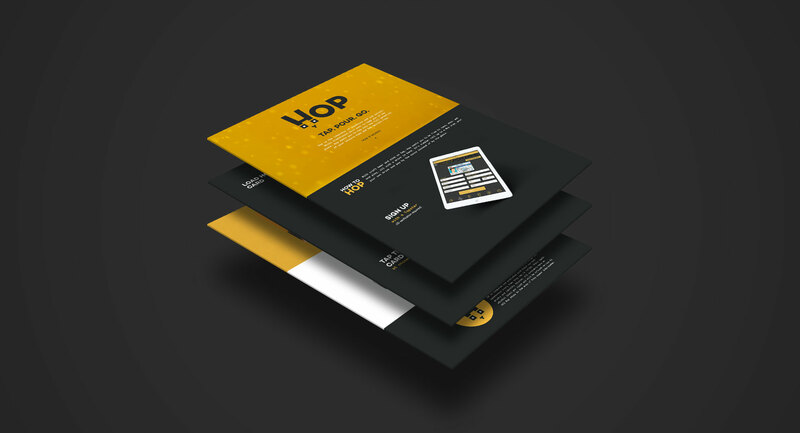 As awareness of Hop grew through its social presence, the need to anchor the brand’s presentation with an explanatory website became timely. Brand Knew designed an interactive website to flow like the pour of a perfect beer. The site oozes originality with a step-by-step explanation of the process, complete with scroll-to-activate animations, and a custom location map with nocturnal habits. 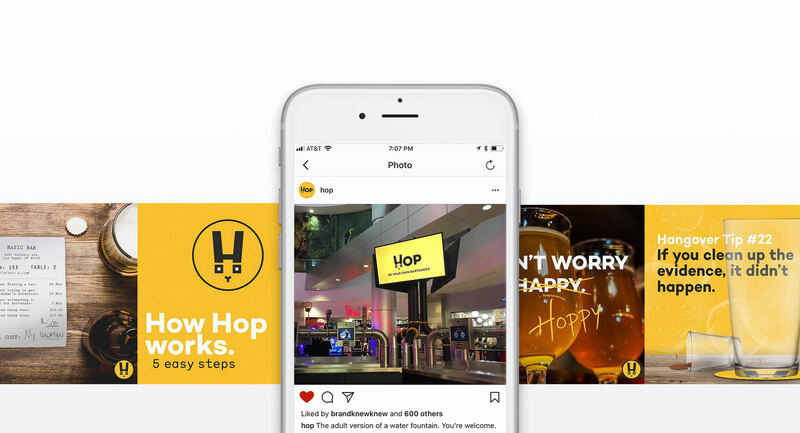 With plans for international expansion well underway, Hop’s revolution is changing how consumers drink in a tech-centric age of do-it-yourself. 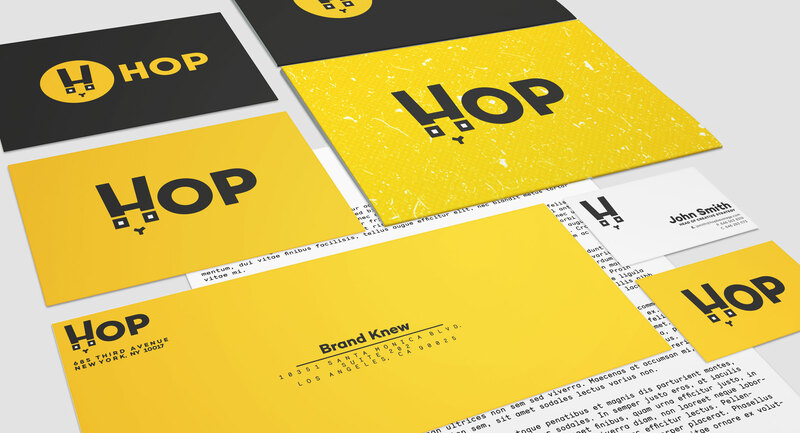 Brand Knew continues to serve as Hop’s creative collaborator and technology advisor.